July 9, 2018 By This post may contain affiliate links. to any pool party or day at the beach. This post was originally published on July 14, 2011 and has been updated with a video tutorial as of July 9, 2018. When I did a Google search on S’mores, I was astonished at all of the ways you can use the basic combination of chocolate, graham crackers and marshmallows. I found s’mores pies, cakes, cupcakes, lollipops, bars, cake pops, cookies, caramel apples, truffles, ice cream, pizza, trifles, parfaits, breakfast pastries, pudding, fudge, whoopee pies, cereal treats, crepes, sundaes, cheesecakes, brownies, tarts, and moon pies. I even found recipes to make s’mores in a jar. Fancy restaurants even make their own versions of s’mores using homemade graham crackers topped with chocolate ganache or mousse then topped with a beautiful piped meringue. I challenged myself to find a new and exciting way to make s’mores and came up with these Starfish S’mores. Aren’t they cute? Watch this new video tutorial to see how to make these cute Starfish S’mores then scroll down to see the recipe at the end of the post. To make my little starfish s’mores, I whipped up a batch of homemade marshmallows, cut them out with a star shaped cookie cutter , dipped them in some melted chocolate, sprinkled on crushed graham crackers and added two silly little edible eyes . 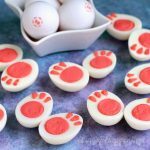 You don’t have to be an expert candy dipper to make these, as the more lumpy and messy they are, the better they look. You could use a starfish cookie cutter to make your treats, but I thought the plain star cutter worked just fine, and I had one on hand. You will have lots of extra scrap pieces of marshmallow once you cut out all of your stars. I saved some to eat and dipped some in chocolate. 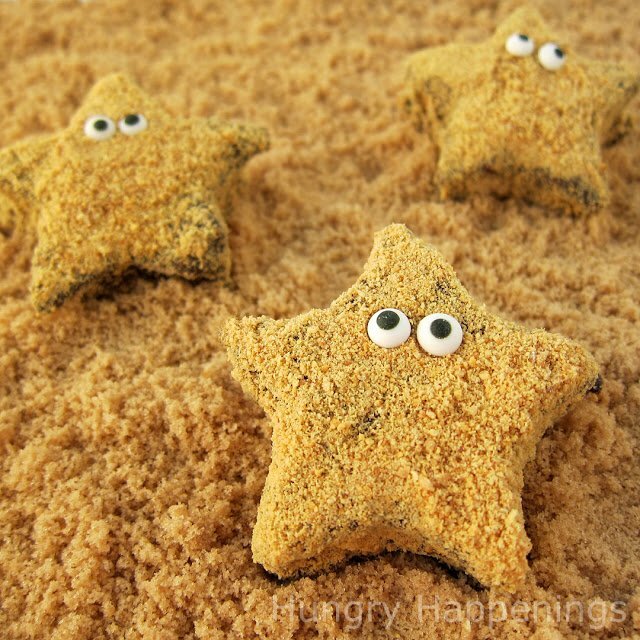 If you create a beach scene to display your starfish, you can use some of the chocolate dipped scraps as big rocks. I didn’t mind having scraps, but if you need a lot of starfish and don’t want any scraps, you can put your marshmallow in a large pastry bag and pipe out stars on a cornstarch/powdered sugar lined baking sheet. Just be sure to pipe a few layers of marshmallow, so your starfish are thick. I created my beach scene using brown sugar sprinkled with a bit of white sugar – a bit messy, but it looked great. Pour 1/2 cup of water into the bowl of a stand mixer. Sprinkle gelatin over top of water and allow to soften for 5 minutes. Meanwhile, pour remaining 1/2 cup water, granulated sugar, corn syrup and salt into a small saucepan. Stir just to combine ingredients. Cover saucepan, place over medium heat, and cook for 4 minutes. Remove lid, and clip the candy thermometer onto the side of the pan. Be very careful not to touch or spill any of this hot syrup on your skin – it will burn badly! Place the whisk attachment on your stand mixer. You will need to whisk this marshmallow mixture on high speed for about 15 minutes so it is imperative that you use a strong stand mixer not a hand held mixer. Turn the stand mixer onto low speed. Very carefully and slowly pour the hot sugar syrup down the side of the bowl into the softened gelatin. This hot liquid can burn your skin badly, so be very careful with this step. Once all of the sugar syrup is in the bowl, increase the mixer speed to high (going up a few steps at a time). Whip until the marshmallow becomes very thick and cools to a lukewarm temperature, about 12-15 minutes. Add the vanilla (use vanilla bean paste for the best flavor) and whip just to combine. While the marshmallow is whipping, prepare your pan. Butter the bottom and sides of a 9″ x 13″ pan. Pour about half of the powder blend through a fine mesh sieve evenly over the bottom and sides of the pan. Tap pan to remove excess. Save remaining powder for later. Butter or spray a rubber spatula and use it to remove the marshmallow from the bowl. Spread the marshmallow evenly in the pan. Use a buttered offset spatula to smooth the surface. Dust the top of the marshmallow with enough of the remaining sugar and cornstarch mixture to lightly cover. You can now use your hands to really flatten out the marshmallow. Cover any remaining powdered mixture for later use. Set a large cutting board on top of the pan of marshmallows. Turn both the board and pan upside down. The marshmallow should fall right out of the pan onto the board. If it doesn’t, help it along. Dust a star shaped cookie cutter with some of the powdered sugar/cornstarch mixture. Press the cookie cutter into the marshmallow, remove, and press marshmallow out. Dust the cutter again, and continue to cut stars until you can’t cut any more. As you can see, you will have a lot of marshmallow scraps. Either dust them with more powdered sugar/cornstarch or dip them in any leftover chocolate. Pour chopped chocolate into a microwave safe bowl. Heat on high power for 30 seconds. Stir. Heat on high power for 20 seconds. Stir vigorously. Heat on high power for 15 seconds. Stir vigorously. If not melted, continue to heat for 10 second increments, stirring after each, until melted. For more detailed melting instructions, read my chocolate making tutorial. NOTE: you don’t need to temper this chocolate because the graham crackers will completely coat the chocolate, therefore you can use good quality pure chocolate for this recipe. 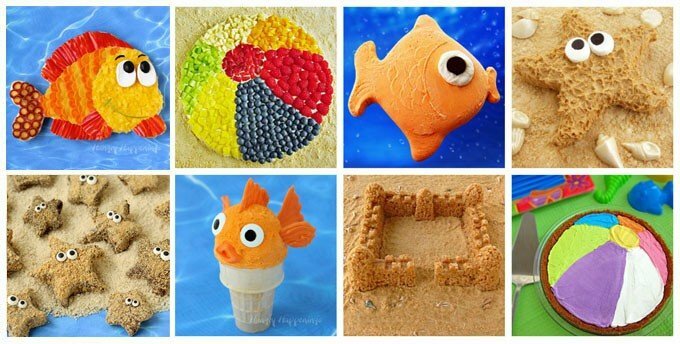 You can, if you prefer, use confectionery coating /candy melts . You do need to make sure, however, your melted chocolate is not too hot, somewhere between 90 and 97 degrees Fahrenheit, so you don’t melt your marshmallows. Pour graham cracker crumbs into a shallow dish. Place one marshmallow star in the melted chocolate. Use a fork to press the marshmallow into the chocolate, covering the top and all sides of the star. Place the fork on the underside of the marshmallow and use it to lift the marshmallow out of the chocolate. Shake the marshmallow to allow any excess chocolate to fall off. Set the marshmallow in the graham cracker crumbs. NOT PICTURED (but shown in the video tutorial above) – attach two candy eyes now. Sprinkle and push the crumbs over and up against the marshmallow star. Completely cover the star with crumbs and allow to dry for 1-2 minutes in the crumbs. Remove from crumbs and set on a parchment paper lined baking sheet or cutting board. 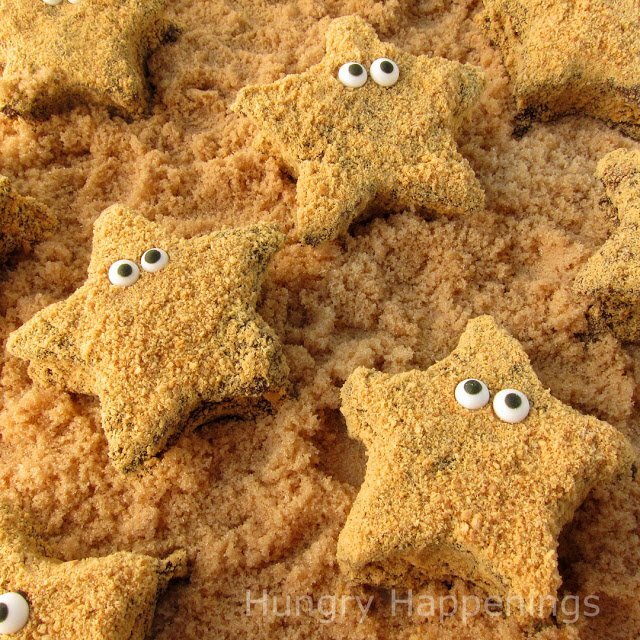 I originally added the candy eyes to the graham cracker coated marshmallow starfish but found when creating my video that I could add them to the wet chocolate before sprinkling on the graham crackers. 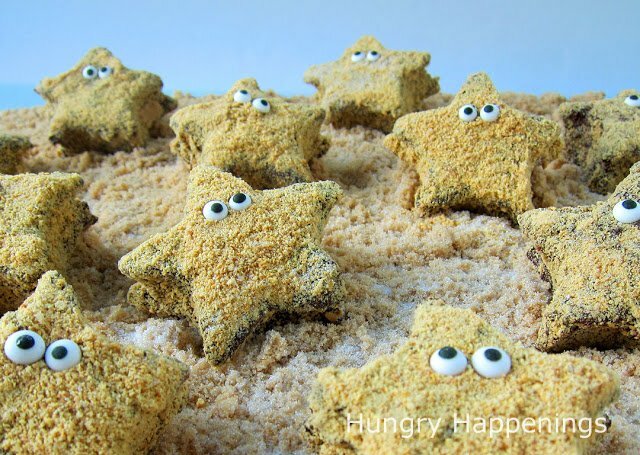 If you don’t attach them to the wet chocolate you can use a toothpick to dig out small circles of the graham cracker crumbs where the eyes will be on each starfish. Add a dab of chocolate to the holes and place an eye on top. Store your marshmallow starfish in an airtight container for up to 1 week. Package individual starfish in cellophane bags to give as party favors or gifts. Homemade star shaped marshmallows dipped in chocolate and graham cracker crumbs are decorated like starfish. Grease the bottom and sides of a 9" x 13" with butter or cooking spray. Combine the powdered sugar and corn starch and dust the inside of the pan. Sprinkle gelatin over 1/2 cup of water in the bowl of a stand mixer. Stir together remaining water, sugar, corn syrup and salt in a small saucepan set over medium heat. Cook, covered for 4 minutes. Slowly pour hot liquid into the gelatin with the mixer turned on low speed. Increase mixer speed to high and whip until the marshmallow becomes very thick and cools to a lukewarm temperature, about 12-15 minutes. Add the vanilla and whip just to combine. Spread the marshmallow into an even layer in the pan. Dust top with powdered sugar/corn starch. Let cool for 4 hours. Turn out onto a cutting board, cut into star shapes. 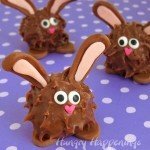 Dip in melted chocolate, attach two candy eyes, and coat in crushed graham crackers. Set on a parchment paper lined baking sheet and allow the chocolate to harden before serving. An idea for the left over marshmallow pieces – rocky road! You could cut the marshmallows in pieces and mix with toasted walnuts or pecans and melted chocolate. Put in a pan, chill and cut into squares. Great suggestion Linda. I think the Rocky Road bars would be a perfect way to use up the marshmallow scraps. These are so adorable. I love all of your creations. I don't have kids, but that's not going to stop me from making cute food! Thanks everyone. I think it is just so wonderful to have so many readers from all over the world. I'm so glad you have all found my blog. Nicole, I don't have kids either, and I love creating all of this fun food. I share it with family, friends, and neighbors and that makes a lot of people happy! 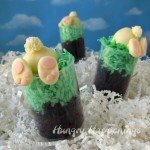 What a fun, and not to mention adorable, recipe! Thanks Procrastokaer, it is so nice to get a compliment on my photos. I've been working very hard to learn photography, which is, in my opinion, much harder than creating and making my recipes. I'm glad all of my hard work is paying off. 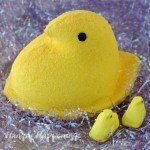 these are the cutest things ever…. These are so so awesome. Love the googly eyes! 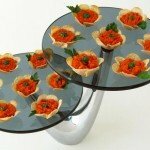 I posted on ediblecrafts.craftgossip.com! Thanks so much Chic Cookies! 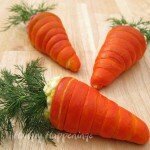 I always appreciate being featured on ediblecrafts.craftgossip.com. Hi Heidi, If you make homemade marshmallows using a hand held mixer, you need one that is pretty powerful (not the cheap $10 kind.) When you make them, give your mixer a break a few times during the mixing process or your mixer could overheat and die on you. Mix for maybe two minutes then let it rest for a minute or two, and repeat until you have whipped marshmallows. In the next few days, I'll be posting a way to make these using store bought marshmallows. Stay tuned! I don't know why I came here when I am on a diet, and I LOVE s'mores. Those are so stinking cute, and I'm sure they are delicious, too. What a creative girl you are. These are sooo adorable! Just can't help but smile when looking at them! This is seriously the cutest thing ever! I am so excited to be your newest follower! Wow, these look amazing! They are so adorable! Thanks for sharing! Wow! Absolutely whimsical and brilliant! 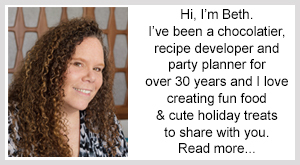 I shared a link with my readers on Facebook and can't wait to see what other creative recipes are in store!